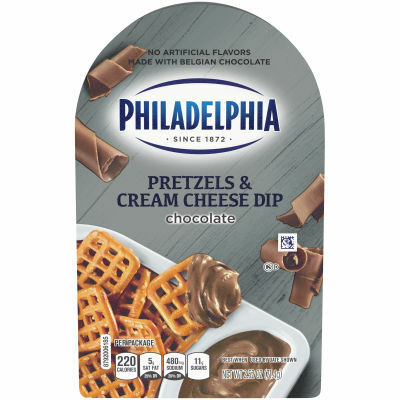 Philadelphia Pretzels & Chocolate Cream Cheese Dip is a convenient on-the-go snack that is easy to carry anywhere. Grab this deliciously crunchy, creamy and sweet snack for a quick fix for your between-meals cravings. Serving size 1 package (71.4g).